Is always eating tacos. 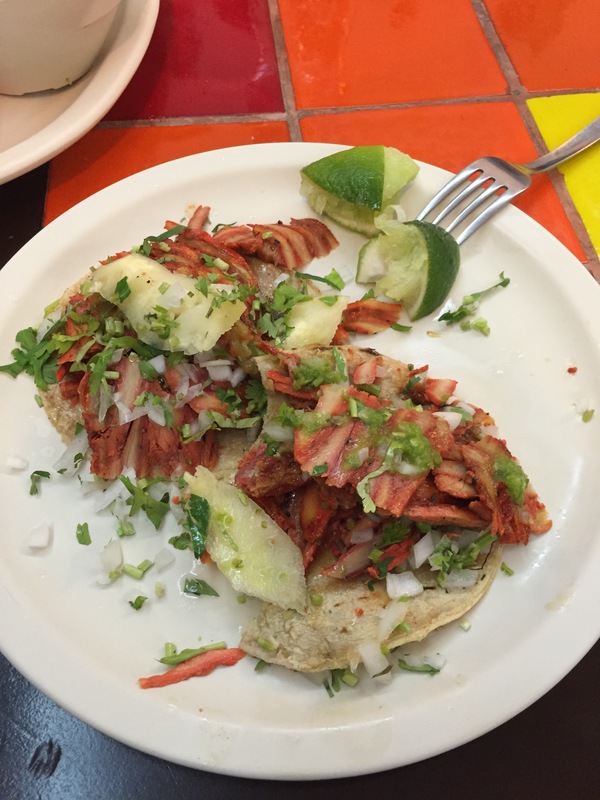 They say that the meat al pastor comes from when some Arabs came to Mexico back in the early days of the Spanish conquest. The meat is seasoned and cooked very much like a kebab. Whatever its beginnings, the delicious and soft flavour for the tortillas wrapping around the carne al pastor cannot be found elsewhere. The sweet of the pineapple with the sour of freshly squeezed lime. And the choice of sauces… Something only truly experienced in Mexico. Its good to know that sometimes people are predictable. Its even better to realise that they are right to be predictable when something as tasty as tacos is involved! And the best bit is to have shared that experience!